Massaging a new born is a very special time to bond with a new born baby. Baby massage helps a mother and a baby to understand each other. Massaging benefits a baby in several ways. It helps the baby connect with his mother by way of touch. The baby feels pampered and smiles all the way which is a very special moment. Massaging if fun and relaxing both for the mother and the baby. It helps the baby to sleep for a longer time. It is a way of expressing love for the babies. Ayurvedic Lal tail has always been known to promote the natural growth of the baby. 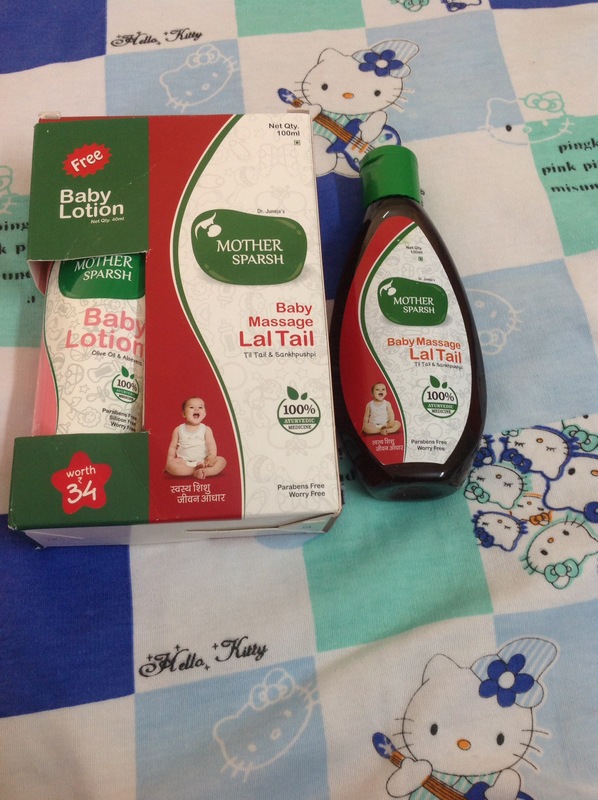 Mother Sparsh brings to us a Lal Tail which is enriched with the goodness of Ayurvedic Herbs. It helps strengthen the bones and muscles. It contains sesame oil which helps improve blood circulation in the body. It is very nourishing and helps in the natural body growth. It is 100% ayurvedic and parabens free. Recently, my daughter met an accident and got her foot fractured. After her plaster was removed, she started going for her sports classes and school. At night, she would complain of pain her foot. I started massaging her foot gently with Mother Sparsh Lal Tail at night. In a few days, her pain was gone. The scar left by the accident on the foot also started fading. She started regaining her muscular strength in her fractured foot. The oil helped her sleep comfortably at night. The warmth of the oil is very relaxing and soothing. The oil spreads easily which leads to a good massage. It gets quickly absorbed by the skin and makes it soft and supple. After experiencing myself and noticing its benefits, I would strongly recommend it to others.